So, I guess this is where I give you updates, but first, a backstory. Late last year, I made my first ever vision board, hoping that it would give me direction in terms of my art career. I wrote down goals, added motivational quotes, and looked at it everyday. 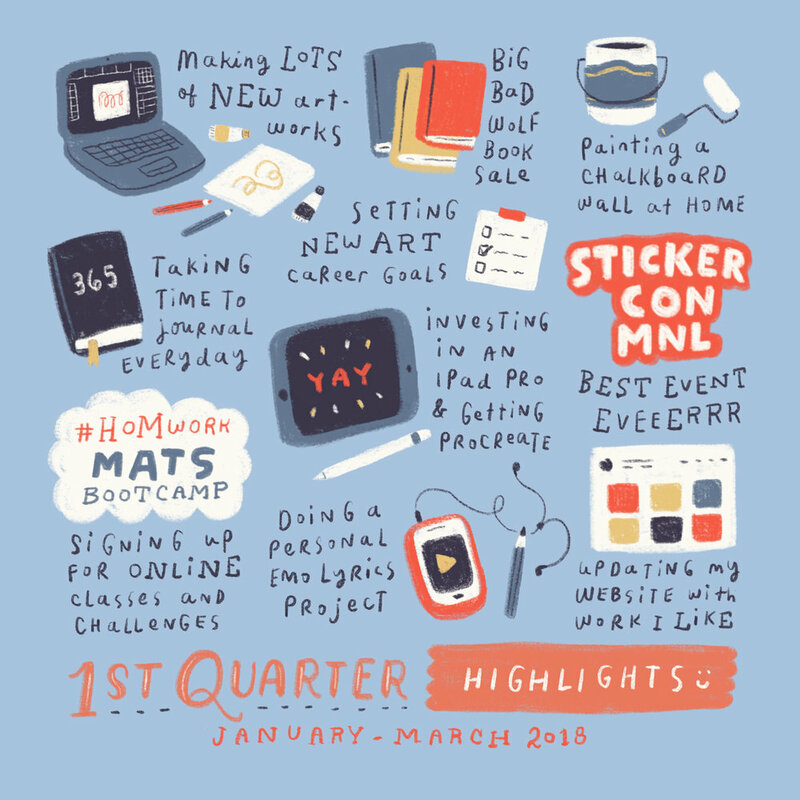 I also thought that the first step to achieving my goals was to build a body of work, so I dedicated the first quarter of 2018 to fixing my portfolio. That meant saying no to other opportunities and slowing down or taking a step back in other areas (like production, commission work, and events), but I felt like I had to build a strong foundation in order for my art career to flourish. Lots of things happened, and lots of art were made!